Search for your new home in Cedar Village, Brick NJ – an active adult community. 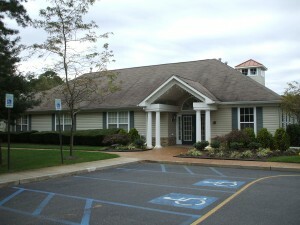 Cedar Village is a Active Adult, 55+ Over 55 Community in Brick, Ocean County, NJ. It’s in a great location, because it’s close to major transportation routes In addition, it’s convenient to the Jersey Shore, golf courses, boating, shopping and of course, the Jersey Shore. Cedar Village was built between 1999 and 2001, and in fact there are 225 homes in this community. These homes come with either two or three bedroom homes and they also have 2 car garages. Additionally, a few have a basement. Sizes of these homes range from 1200 to 1600 square feet. At the heart of Cedar Village is the clubhouse. 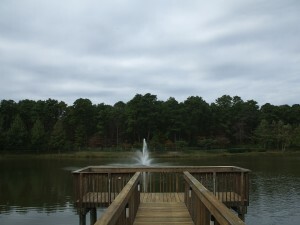 It is located on a small, picturesque lake, with a dock that extends out into the lake. In the clubhouse you’ll find a multi-purpose room which is used for, well, everything. Also you’ll find a fitness center, arts and crafts, a card room and billiards. When the weather gets warm step outdoors to find the outdoor pool and a gazebo to meet with your friends. 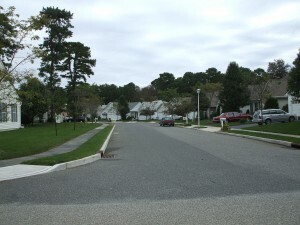 While Cedar Village doesn’t have a golf course, there are many courses in Ocean County. In addition, you can pursue hobbies such as boating and fishing. Also, there are numerous clubs and activities available at the community center. Also, your pets are welcome here. There is a monthly association fee in Cedar Village which covers lawn care and snow removal. Consequently, this is a chore you won’t need to do.Additionally, you receive use of the clubhouse and facilities and common area. Indeed, in our opinion, this is the nicest active adult community in Brick. The Department of Transportation Services county transit system, Ocean Ride, provides bus transportation throughout Ocean County. The Reserve-A-Ride Program has local bus routes to shopping, other adult communities and more. Reserve-A-Ride provides door-to-door, non-emergency medical transportation service. This is available to seniors (age 60 and over). Advance reservations are necessary, however, there will be a minimal fee charged..
Are you looking For New Construction?